Although the holiday season doesn’t start till the end of November, shopping for the holiday season is already in full force. In a study by Bazaarvoice, 2 types of shoppers were identified – planners and spontaneous shoppers. 59% of shoppers – the planners – start shopping 42 days before the holiday season even starts leaving the 41% of spontaneous shoppers that prefer to shop without a list. However, shoppers in both categories have admitted to making impulse decisions while shopping. The driving force behind those impulse decisions is mobile searches. Mobile searches have picked up and need to be considered when designing a holiday marketing campaign. 44% of shoppers search for stores nearby to procure the best products and offers. This statistic also explains why beacon technology is taking off. Instead of leaving the decision to the shoppers, beacon campaigns gently nudge customers towards stores saving a lot of time and effort. Mobile search is dominating all other modes of search. This is one holiday marketing trend that you cannot ignore. Not to mention that there will be an aggressive use of smartphones by shoppers in the store. Businesses that have deployed beacon technology will greatly benefit from this new trend seeing as they can design a customer experience using beacon campaigns. From the minute a shopper walks in till the time they walk out, beacons can gently nudge them to specific deals, aisles, and products. One of the primary reasons shoppers use their smartphones during holiday season shopping is to be able to get the best deal. That includes being able to compare products. BLE beacons making comparing products a breeze. Scala’s Lift and Learn technology turns the smartphone into a second screen and shows the two products’ feature comparison. Shoppers look for better deals and discounts on their smartphones and beacons are the most optimal way to deliver these coupons. Attaching a different beacon for every aisle or product ensures that the deals are relevant to the customers. Cash in on this holiday marketing trend by using beacons. Beacon campaigns can be used to direct shoppers to a businesses’ social media pages to either leave positive reviews or like the page. Improving the in-store experience for shoppers by asking for feedback, offering coupons and a cashier-less experience, they are extremely likely to recommend the store to their friends and family. Customers, especially millennials, like the idea of scanning products with their smartphones and having the products delivered to their homes. Amazon Go primarily works on the same concept. 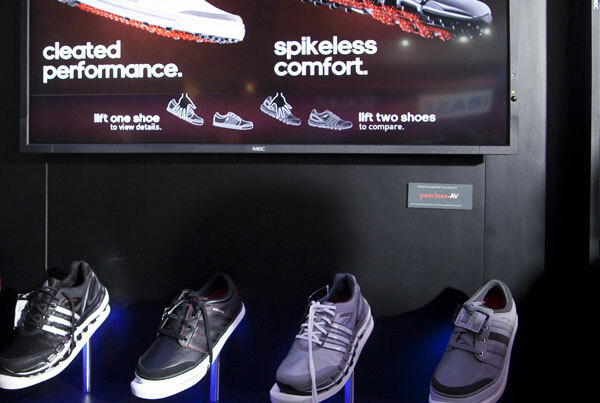 Decathlon is also testing out this concept in Bengaluru, India. Make the most of this holiday marketing trend with BLE beacons. BLE beacons, when tied to a compatible app, can be used to implement this feature. In a bid to attempt to avoid long queues, customers also like ordering online and then picking up their products at the store later. This system can be easily facilitated with the use of BLE beacons. Beacon technology can send a notification to the employees at the store that the customer is approaching to pick up their order and have it ready so that no time is wasted. While e-commerce may be preferred early in the holiday season, consumers flock to stores when shopping late. This can be primarily attributed to the recent trend of deliveries getting delayed. Armed with that knowledge, beacon campaigns can be fine-tuned to address the late shoppers offering them coupons and rewards. Consumers shop in-stores as well as online on Black Friday. Cyber Monday is a close second and is climbing steadily. Businesses can schedule campaigns to run on Black Friday and Cyber Monday driving up their ROI on both these days. Make the most of this holiday marketing trend by nudging customers on Thanksgiving. 30% of customers intend to try their hand at online shopping this year but in-store visits are not off the cards. This spells great news for businesses that do have an online-only presence. #4. Holiday marketing trends forecast: What consumers are looking for? 46% of millennials plan on gifting an experience rather than a physical gift and 42% of parents are going to opt for experiences for themselves and their children. Small business owners that deal in art and crafts have the most to gain from this as craft-related experiences are the most popular experiential gift. In order to lead customers to their store, small business owners can use beacon technology in a plethora of ways. It is vital for businesses to understand who their customers are and how they make their purchase decisions. Social media commerce, AI and voice assistants are emerging holiday marketing trends that will soon change the face of retail. Social media channels are already seeing a major spike in sponsored content. On Instagram, the most popular content is products. In 2018, it is expected that Instagram will supersede all other social media channels in driving traffic to a store. Don’t let this holiday marketing trend slip your notice. 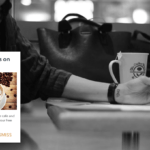 Deploy beacons at the store that redirect customers to your Instagram page. Related: Holiday marketing trends for small business without a website. Personalization is the No. 1 expectation that shoppers have from retailers. And, with AI shoppers are expected to be bombarded by recommendations based on their shopping history. Beacon technology can also be implemented to help personalize offers with a compatible app. BLE beacons can also store information about previous store visits and use that to tailor recommendations to shoppers. Take this holiday marketing trend to the next level by asking customer feedback on your inventory. Another emerging holiday marketing trend in the retail industry is the power of voice-enabled shopping. This also means that businesses have to ensure that their websites are mobile-friendly. 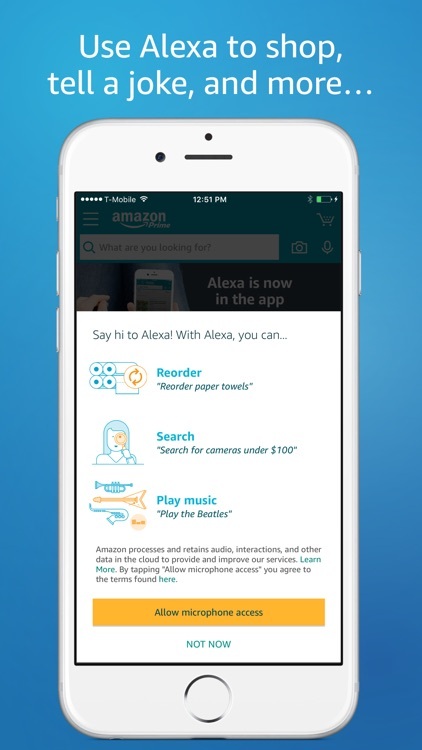 Third-party app developers enable voice assistants to learn new ‘skills’ which can help voice assistants connect to Bluetooth beacons and tags. This, in turn, can mean that a customer in the store can use their voice assistant to ask for product recommendations, compare two products and look up reviews. 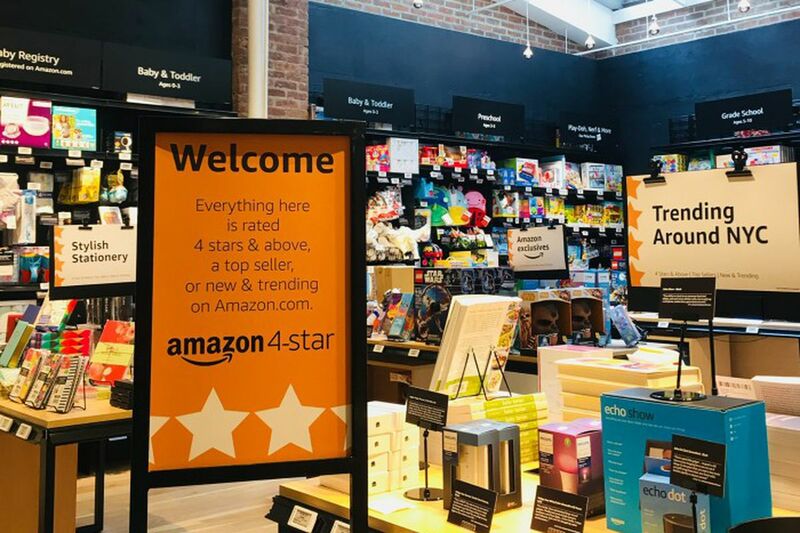 Customer-backed inventory is the latest in the long line of Amazon’s experimentation in the physical retail landscape. The 4 star indicates that all the products in the store have either been rated 4 stars and above, sourced from a top seller or are new and trending on Amazon’s website. The digital price tags reflect the fluctuating price and the rating of the product. A similar setup can be designed with Bluetooth beacons by placing them in the aisles of a store and asking customers to leave feedback on products using interactive forms. This process also has an added advantage of procuring leads that can be retargeted later on Facebook and Google. Shopping has already started for the upcoming holiday season and we have identified the busiest days ahead so that businesses can schedule their campaigns – beacons and otherwise – accordingly. Want to explore app-less proximity marketing technology? Try NFC stickers and QR codes to engage customers walking by your store. Read about how to use a blend of BLE beacons, NFC and QR codes to engage customers and improve in-store customer experience. Let us know in the comments below what your holiday marketing strategies are and which holiday marketing trends you did not know about. 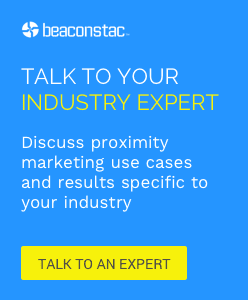 Use Beaconstac, an end-to-end solution, to drive your holiday season marketing campaigns this year. Schedule a demo and get started to get a jump on this year’s holiday marketing trends. What are the 4 highest converting proximity campaigns for holiday season 2017?